Mayo Clinic has uploaded more than 9,000 YouTube videos to its YouTube channel since its establishment in 2008. Despite new high-quality and timely videos regularly being uploaded, the video receiving the most views in a given week has lately been “New Route to the Heart - Mayo Clinic,” a video that was uploaded in 2012. YouTube metrics indicated that as of June 6, 2018, nearly 100% of its playback locations measured by watch time were on a YouTube watch page, and 68% of the approximately 1.4 million lifetime views for this video came from “Suggested videos” within YouTube. The reason for this video's great success was perplexing. A search in February 2018 for “angioplasty” videos on the Mayo Clinic YouTube channel yielded the below results. 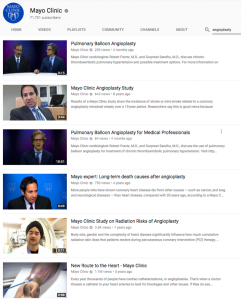 While not all of the videos in the search results are equal in topic covered or audience pertinence, a curious finding, nonetheless, was that “New Route to the Heart - Mayo Clinic” was the only video in the top six search results that had a medical illustration as its thumbnail. Could “New Route to the Heart” be receiving more views due to having a medical illustration as a thumbnail? Herein, started a research project. We identified a series of videos that had been uploaded to the Mayo Clinic YouTube channel between 2011 and 2013. All videos in this series were hosted or narrated by an individual telling a medical story, often including a physician interview and/or patient testimonial. Forty videos were identified as meeting a variety of criteria: being publicly available on YouTube, not exceeding three minutes in duration, having received at least ten video views in the prior 100 days, not being a predominantly seasonal topic where views would fluctuate throughout the year (e.g., snow shoveling safety), not focusing on an isolated public event, and initially having a thumbnail other than a medical illustration. 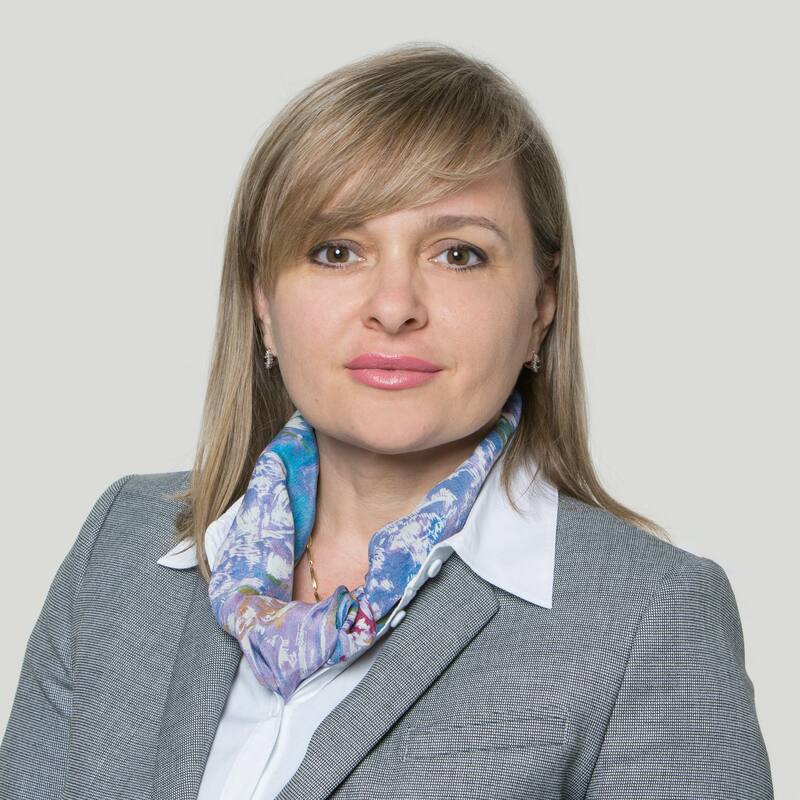 Some of the forty videos did not have a medical illustration within the video, so we did not consider them eligible to be in the intervention group, which was a convenience sample of twenty videos. For the twenty intervention group videos, we changed the YouTube video thumbnails to a medical illustration pulled from somewhere in the video (see the example below of pre- and post-intervention thumbnails for a video in the intervention group). The remaining twenty videos maintained their original, non-medical illustration thumbnail, and became part of the control group. Two hundred days of metrics were pulled, with the pre-intervention 100-day period lasting from June 17, 2017, to September 24, 2017, and the post-intervention 100-day period lasting from September 28, 2017, to January 5, 2018. Three days in between these two 100-day periods were excluded to avoid any inadvertent viewership counts generated from reviewing and changing thumbnails, and to allow Google time to index the new thumbnails in search results. Aggregate video views from the control group increased by approximately 9.4%, and their watch time increased by about 9.3%. In contrast, aggregate video views from the intervention group increased by approximately 16.9%, and their watch time increased by about 21.1%. While we do not venture to explain the percent increases in the control group, the larger percentage increases in the intervention group seem to align with our hypothesis that using medical illustrations as thumbnails would yield greater viewership. We conducted a statistical analysis, but with a modest sample size of forty videos with highly variable view counts and watch times, we were unable to provide conclusive evidence. While these results do not explain the enormous success of the “New Route to the Heart” video, this study does suggest using medical illustrations as thumbnails may benefit viewership. What approach to YouTube video thumbnail selection do you use? Have you experimented with medical illustrations as video thumbnails? I’d like to thank Shea Jennings, Lee Aase, Dr. R. Jay Widmer, and Dr. Farris Timimi, for helping throughout various parts of this project, from concept design to analysis and editing. 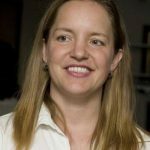 Makala Arce is a Senior Communications Specialist for Mayo Clinic's Social & Digital Innovation team. A 2012 Mayo Clinic video on YouTube is still racking up the views. Do medical illustrations make better thumbnails than other kinds of images? Did you know that Mayo Clinic has uploaded more than 9,000 YouTube videos since 2008? Why is a 2012 Mayo Clinic video about heart health still getting traction on YouTube after six years? It does not surprise me. (1) I would expect the thumbnail to reflect the content; (2) headshots are not that exciting; (3) cool 'cartoon' makes me at least wonder a bit about this body part/procedure/illness. NOTE – features about individuals seem to do well in other venues, but these were not features about the individual, so the mismatch may make it unattractive, or the venue. Title may also have something to do with it, might consider: "The doctor says" or something like that as a 'series' title, to let people know they are getting an expert opinion/discussion on (X), and then the picture of an individual might seem more in line. last week I run an advance level course on "Health Care Management" at my University (in Switzerland). I had a group of 12 executives: all were cardiologists, all heads of departments. They were mixed: surgeons, polyclinic doctors, cath lab. They all had one opinion: the key is not the non-medical illustration, but the hand. Those patients who need an angioplasty know that it's done via leg. On the picture is a hand and it's an animation. This is a revolutionary method and that's why people are attracted to see how it's done in a new way through the wrist. May be this is an interesting idea for Mayo Clinic and colleagues. PS. That's why we as a group decided that this is "The power of message" – the title and the hand bring the right information to patients.